An organization called SHADO fights off aliens who are infiltrating Earth by disguising themselves as humans. The Earth is threatened by an alien race who kidnap and kill humans and even animals and and use them for their body parts. In the year 1980 S.H.A.D.O. (Supreme Headquarters Alien Defence Organization), a highly secret military organization, is set up in the hope of defending the Earth from this alien threat. This organization operates from a secret location beneath the Harlington-Straker film studio in London. S.H.A.D.O. also has a base on the moon with Interceptors as well as an early warning satellite that detects inbound UFOs (called S.I.D. ), and operate a fleet of submarines. 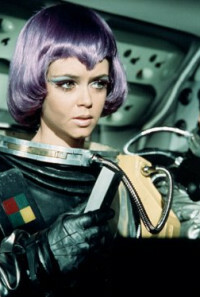 General James Henderson and commander Ed Straker have a team of highly trained and well equipped females and males to battle the regularly incoming hostile UFOs. Regions are unavailable for this movie. Click the "Watch on Netflix" button to find out if Invasion: UFO is playing in your country.